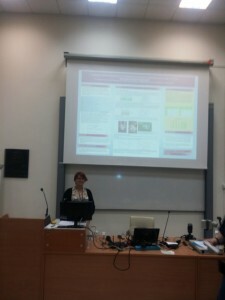 Head of the department of functional diagnostics and clinical pathology of Ternopil State Medical University Dr. Mariya Maruschak took part in the conference on new approaches inteaching, Engaging Higher Education in Local and Global Challenges, which took place on 23-26 October in Rogów (Poland). 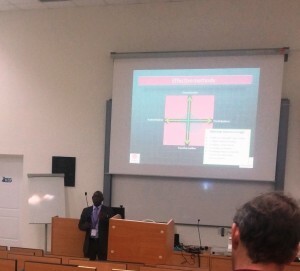 The conference was a joint event organized by Finnish Centre of the Baltic region and the Technological University of Łódź, implemented in close cooperation with SWEDESD and coordinating support by the University of Uppsala (Sweden). The conference committee invited representatives from Ukraine, Sweden, Belarus, Estonia, Finland, Poland, Latvia, Lithuania and Kaliningrad. The event was aimed at finding solutions to current challenges in education for sustainable development, in particular such issues as skills transfer, “real life” competencies, exploration of active learning environments and interdisciplinary approaches. The problem of sustainable development is one of the most pressing in the XXI century, as social development largely depends on the processes of globalization and involving citizens in sustainable development. Conference participants had the opportunity to participate in seminar sessions and discuss perspectives of development in higher education given local and global change, and the main directions of social activities and sustainable development at the local level. 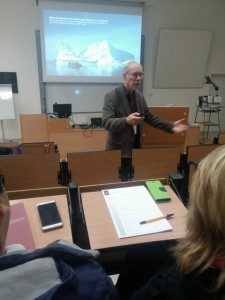 Conference presenters were the honorary director of the Baltic University Programme, Professor Lars Rydén and a leading international expert of the Swedish Center for Education for Sustainable Development, Professor Shepherd Urenje,. During the three-day conference, participants shared up-to-date educational methods, talked about academic processes at their universities. Particularly interesting and informative were reports by colleagues from Poland and Lithuania, who developed computer games, created a laboratory of ideas and introduced small projects funding to improve educational process.